Have you started gift shopping for your friends and family? What about a gift for that special someone in your life? Details: Seating is limited, and priced at $120 per person (not including tax or gratuity), so do not hesitate to secure your RSVP to directly at 210-558-2253. “Guest host for the reception and dinner will be Guy Noel Stout, M.S., C.W.E., and Corporate Director of Beverage Education in the Glazer Family of Companies. Guy is a Master Sommelier (M.S. ), one of only 160 in the world! He is also a Certified Wine Educator (C.W.E. ), Certified Spirits Specialist (CSS), and on the Executive Board of Directors for the Society of Wine Educators. 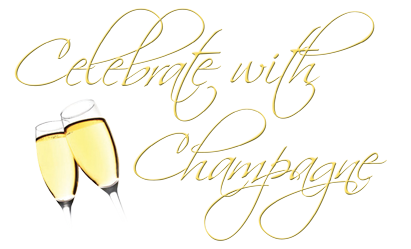 Guy will be sharing his insights on the marvels and delights of champagne. Chef Ernie Estrada of Francesca’s at Sunset has collaborated with Chef John Herdman of Brannon’s Cafe to create a spectacular menu that accents the best characters of these magnificent spirits. Many of you know both Chefs, and will be enthralled with the dynamic of their culinary convergence.